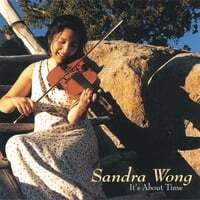 I have also recorded on the albums of numerous artists, some of which you can find links to through the links page on my website www.sandrawongmusic.com. The recording and the song selection are wonderful. If you like traditional fiddle music add this to your shopping cart.